Yellow ethnic-style multi-strand necklace - Bonnie Mincu design. 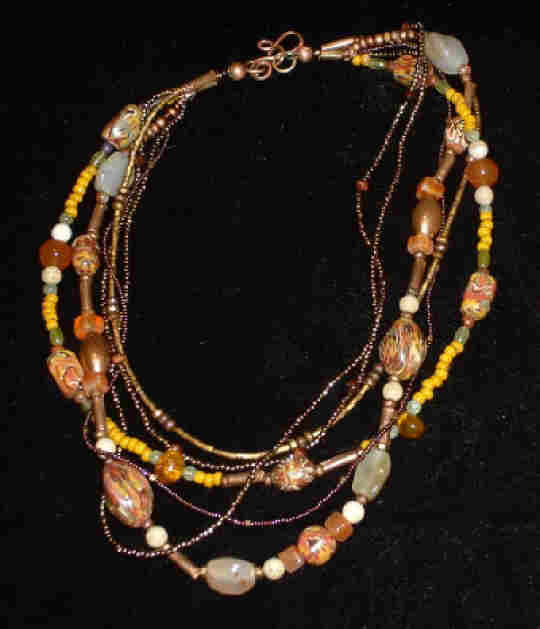 Six-strand ethnic-style necklace of custom polymer beads, African glass beads, semi-precious stones, amber, custom copper clasp. See matching bracelet. SOLD. Contact Bonnie Mincu about creating a similar jewelry piece for you.